Afterwards, she was mad as a box of frogs, her thoughts leaping all ways and no sense in any of it. I didn’t know what to do. I told her sister and her mam. They said I was unfeeling and I was just the same as all men, and all men are beasts is what they said. They took Ruth in their arms and they just held her like that. ‘It takes time,’ they said and they said I was just to be patient. I came home one day and she was standing talking to a wall. I watched her and it was like the wall was talking back and she was listening to every word it said. Ruth laughed when she saw me at the door and she said she hadn’t heard me coming in. Then she asked me about my day and what I had done and who I’d talked with. And once, in the middle of the night, I woke to hear her crying. She was standing in front of the mirror and not a stitch covering her. She was stroking the flat of her belly with one hand and with the other stroking her breasts. I asked her what was wrong and she said that she had a pain inside, sharp as a knife twisting and twisting. ‘Do you think it was something I did?’ she said. I held her close, like her mam or sister would do if they were there. Then tonight, and we’re just watching the tele and she hands me the phone like there might be someone wanting to talk to me at the other end, and she says, ‘Listen.’ The line was dead and there was nothing to listen to. ‘Can’t you hear it?’ she said. I said I could hear only the dead line. She was in such earnest that I listened again, but there was only the flat dialing tone. It reminded me of the hospital monitor and the sound it made when Kitty stopped breathing, the sound it made when her heart gave up. It was what she had said in the hospital. I looked at her, not sure of anything. In the hospital when she’d said it, screamed it really, I had called for the doctors and the nurses. They were already alert to the sound of the monitor and they were by the bed before I had finished calling. They tried to revive Kitty for almost fifteen minutes. Then they switched the monitor off and it was silent again. Now, in our front room and she was urging me once more to do something and I quietly hung up the phone. Ruth looked at me like she didn’t even know who I was. I told her it would be ok and that we’d get through this. ‘It takes time,’ her mam and her sister had said. And they said I had to be patient. I wasn’t sure they really understood. They were newlyweds back then. The apartment was not far from where each worked. Catherine was a librarian at the local school; David a manager in a local grocery store. They were in the starting out years, had one good set of living room furniture (wedding gift) and a dining room set (Salvation Army). Catherine quickly in her soft-spoken way reset the conversation: “I know, honey, I know. It was important to you that you got that out of the way. You now have your own store and can be proud of that.” David nodded appreciatively; the conversation was getting back to his comfort zone. “But you have to admit you were pretty head strong back in those days. Would it be fair to say that your employees called you stubborn at times?” At this David had to smile in appreciation. At the memory of the small store where he once worked and how he had to ride the butts of his workers to get stuff done. At the way that Catherine had skillfully got him back to her side. By now David is quiet, retreating into the memory of that night. Catherine’s parents John and Betty were the first to arrive: they usually came early to help set up. Every year Catherine had regrets about this arrangement as they could never agree on anything. “John make sure you get the stemware clean this time. I don’t want to see all those nasty streaks in the glasses.” Catherine was used to this bickering from their many years together. It was a reminder of why she left home early for college. And so it would go for the first hour or so until Catherine’s brother Todd, his wife Natalie and their son Joey burst in the door all at once. “Hi Aunt Cathy happy Thanksgiving” Joey would cry out with his happy smile. And the tone suddenly changed with a happy child in the room. Betty and John set aside their ritual arguments and ran to the door to exchange hugs and greetings. David met them at the door with his usual bravado. “Todd, Natalie so good you could get here. Joey we have a special place for you to sit tonight.” Dave knew how to charm anyone and tonight he was in his element. “I love the fact that you each came tonight. I hope you gentlemen can keep it quiet for at least this evening.” There was no argument this time. Catherine had grown this art of peacekeeping as an art form and made it hers. With her family and David’s coming together she was clearly the family diplomat. The room had quieted down by the time that Catherine brought the bird out of the oven. Betty and John had by now settled down and volunteered to serve. David brought George and Emma out of the living room and they were seated at the end of the table, jammed tight against the wall. Catherine felt exhaustion over take her. Once they were all seated and it was time for Grandpa George to say the blessing, she felt his hand reach out to hers under the tablecloth and felt a sense of relief come over her. He was in a good mood tonight and would be there to help. With the blessing she could lift up her own “Thank God” that it all was finally together. David began entertaining the assembly—his job every year. “Mike tell us about your new job’ and “Joey what have you been doing in preschool.” He looked over at Susie and asked, “Have you heard anything about our folks?” Keeping the flow going, getting conversation started. The food now in place, John began serving the dinner wine, and by the time that Joey asked for seconds on the potatoes and gravy, everyone had loosened up and talked about the season and the reason for this Day. David had this ability to entertain, to keep everyone laughing. It was one of the reasons that Catherine had fallen in love with this boy six years ago, and why she still glanced at him sideways tonight. This was her shining prince, Mr. Popular, the one who sometimes would not listen to her soft-spoken voice. But by the time that Betty brought out the pumpkin pie, Catherine could see that David was no longer telling stories and had quieted down. In her mind she ran through the missed conversations this year. Would they ever talk about starting a family? Would they ever sit down and tell each other again how much they loved each other? David could begin to feel himself withdraw. He knew Catherine was at his side and could feel her warmth from sitting next to her. But inside he was feeling old resentments build up. His parents couldn’t make this event this year. But they never made the effort to come any year. Always some excuse. His sister Susie was there tonight looking a good as always, but the two of them had hardly spoken this year. He had heard that his father had been in the hospital last week but not much more than that: this was the way that his family was trained. Everything was such a damned secret until someone spilled the beans. So here it was again, the not knowing, the secrets, not being together. He could feel his shoulder muscles begin to tighten and sipped on his Merlot to dull the pain. Somewhere in the midst of the pumpkin desert and after dinner wine the phone rang in the next room. Catherine ran to get it before it disturbed the dinner guests. It was David’s parents. “David come get the phone it’s your parents. They are calling to wish us a happy Thanksgiving.” David could feel his legs weigh heavy as he got up from the table and fell onto the couch by the phone. Catherine who had been standing by the end table waiting for him tried to give him the phone but he shook his head. “You talk to them,” he whispered to her. Still in a mood. David looking quizzically at Catherine. “What?” he mouthed the words. 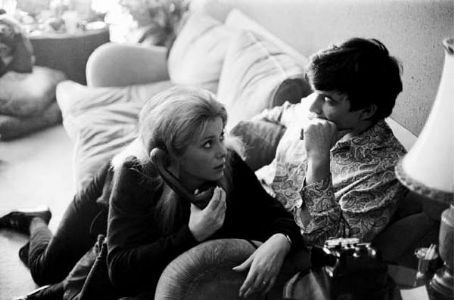 David’s hand came down from his half covered face and accepted the phone receiver from Catherine. David by now was astonished. He had never heard his father talk like this. He was always about business. Work. Getting things done. David suddenly felt very warm and was aware that his face was flushed. By this time Catherine was sitting next to him with her arm around his shoulders. “Listen” she repeated. So David finally tried to listen. Stubbornness gave in to soft-spoken words. “Dad how are you doing now? What happened? How long were you in the hospital?” The words started to tumble out. David looked next to him into Catherine’s eyes. “Keep listening,” she whispered. David caught his breath and just listened. Finally. And as quickly as it began it was over. Margaret got on the line and spoke about how she wished she were there. And Catherine gently took the phone back from David and wished them both well. And as quickly as the phone call had begun it was over. ‘Happy Thanksgiving to all” called out George’s booming voice. “To all of us,” came a cheery chorus of voices. Thirty years later the faded photo is now laying on the dining room table where Catherine is arranging them. “David don’t you think that after that phone call you changed? Even just a little bit?” After their years of marriage David knew that she was right somehow, that he had been able to visit with his father the next day–and some old wounds had begun to heal. Thankfully. Maybe she was right after all. He listened. Nicely worked thanksgiving story, David. Thanks, David, for going at it! And thanks to Lindsay for commenting, for the continued encouragement of other writers. You folks rock!